I have a box (okay two - one is now empty) of cookies made by elves sitting in my cupboard. They are the 100 calorie snack packs of fudge stripe cookies. As I was walking through the grocery store the other day I eyed a package of the fudge stripe cookies. I resisted temptation. I love these cookies and in general I love cookies and can't have them in my house. I was thinking perhaps I could have a controlled temptation? 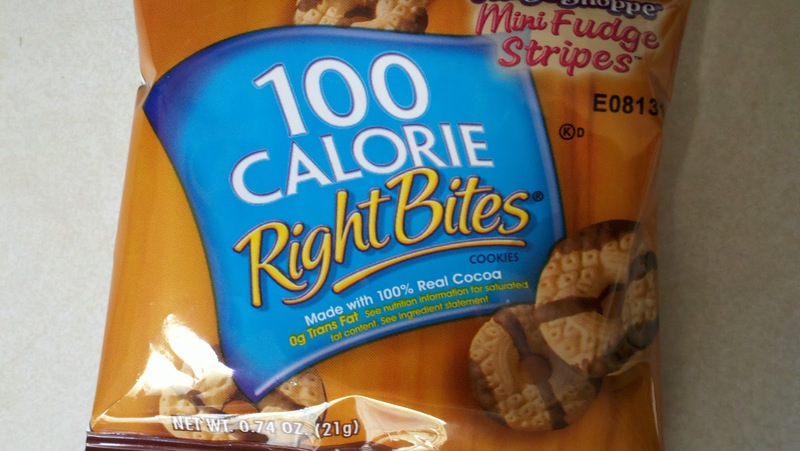 A few days ago I purchased two boxes of the 100 calorie snack pack versions of the cookies. Needless to say as of right now one box is empty and it lead me into filling myself with pb smores, hot fudge and a ww ice cream bar. Fortunatly I feel like I've gotten it out of my system. The box that remains is going to be given away tomorrow. As for calories I have enough extra ww weekly points to use. On the downside I just used 35 of the 49 I am allowed in a week. That leaves me with 14 extra points that need to last me till Tuesday night and I have a date with my 5yr old this Sunday for a burger lunch and a play. Ahh for the love of chocolate! LOL Mid! They are gone!